Bandleader, songwriter, guitarist, singer, song interpreter and the prime mover of the Chicago electric Blues scene, Muddy hailed from the Mississippi Delta, like almost all the great electric bluesman of the post-war era. He was also a good man, who helped many younger or struggling musicians as they later bore witness. But whatever else he was, he will forever be the once and future King of the Chicago Blues. "No I ain't no millionaire, but I had a lot of managers that became millionaires." Muddy Waters Muddy Waters got his nickname from his grandmother, because he was always playing in a nearby creek as a child. It is a name that resonates way beyond the confines of the Blues. As the man who claimed that "The Blues had a baby and they named it rock 'n' roll," he certainly had a point and his reputation among young white boy wannabe blues musicians was second to none. It was from a track on his 1958 album, The Best of Muddy Waters from which a young British band took their name in 1962... and they went on to become, "The Greatest Rock and Roll Band in the World". 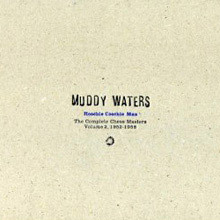 Muddy Waters Folk Singer shows the depth of Muddy's talent, his understanding of the Blues and his brilliance in playing them in whatever form he wanted. It is fair to say that without the album Muddy Waters Live at Newport 1960, no self-respecting white Blues band would dare not play at least half the numbers Muddy performed. 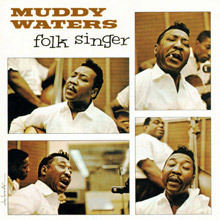 The success of rock bands helped many a Bluesman's career, both in the USA and as international acts; Muddy was no exception and in fact his recording career benefitted more than most. Albums including The Muddy Waters Woodstock Album and Unk in Funk offer a real insight into the thirty year recording career of the real legends of the Blues. When he was about three years old McKinley Morganfield's Mother died so he was sent to the Stovall farm to stay with his grandmother. After he grew up he began working on the plantation, while at the same time teaching himself the harmonica and later the guitar. He began playing in juke joints, at parties and dances in and around the Clarksdale area from about 1935 onwards. In mid summer 1941 Alan Lomax recorded Muddy at Stovall's for the Library of Congress; Muddy sang Country Blues and Burr Clover Country Blues. According to Howard Stovall whose family still own the farm. "He was the burr clover man, which was a cover crop to put nitrogen back in the soil. It's drudge work, you hand rake it up and put it in bags and then spread the burrs around to improve next year's crop. I had the honour of that job one summer, apparently Muddy felt about it the same way I did, only he was able to express it more eloquently." In 1943 Muddy moved north and like many before him, took the train to Chicago's Illinois Central Station; initially finding work in a paper factory. Muddy began playing for tips on Maxwell Street soon after arriving in the city; Big Bill Broonzy helped the country boy break into the urban scene. He started working in clubs, playing with Eddie Boyd, as well as backing Sonny Boy Williamson No.1 at the Plantation Club. A switch from acoustic to electric guitar in 1944 galvanised Muddy's career. He continued to play traditional Delta bottleneck, but the electric guitar transformed his sound and helped to "invent" post-war Chicago Blues. His 1946 recordings for Columbia with the doyen of Chicago Blues, Lester Melrose, went unreleased. It was not until the following year that Muddy would be heard playing on record, in the role of backing guitarist to Sunnyland Slim. Waters and bass player Big Crawford recorded two other songs on the day he worked with Slim, but Leonard Chess was unimpressed and so they went unreleased. However, the following year Muddy and Crawford were back and cut 'I Can't Be Satisfied' and 'Feel Like Going Home', which Leonard Chess released on the Checker label. The former was a reworking of 'I Be's Troubled', a song Muddy recorded for Lomax in 1941 and often played live. 'Feel Like Going Home' was a reworking of Son House's 'Walking Blues'. Muddy had huge respect for House and this is another song Muddy must have sang many times before this recording. The record sold out in less than a day, going on to make No.11 on the R&B charts in September 1948; years later Muddy recalled that he even had trouble buying a copy. 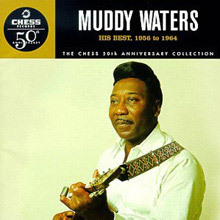 Chess was anxious not to upset a winning formula and despite the fact that Muddy had his own band he continued to record Muddy as a duo or with Leroy Foster on guitar. By the late 1940s his band included Leroy Foster on guitar or drums, Big Crawford on bass, Jimmy Rogers on guitar and harmonica and not long afterwards Little Walter Jacobs was added as the featured harmonica player. Muddy was only in his early 30s but he became the patriarch of the Chicago blues scene. With the pick of the city's musicians in the 1950s, it was more a question of who didn't play in Muddy Waters Band than who did. 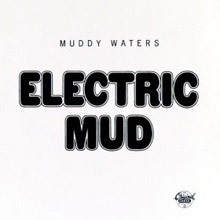 The Muddy Waters Blues Band was recording as an entity by 1951, the epitome of the hard-edged, driving electric Blues band of Chicago, a cornerstone of what we call rock music today. In 1951 'Louisiana Blues' became the second in his run of sixteen chart hits, which included classics like, 'I'm Your Hoochie Coochie Man', 'Just Make Love to Me', 'Mannish Boy' and 'Forty Days and Nights'. The man born in Rolling Fork, Mississippi also cut 'Rollin' and Tumblin'', 'Rollin' Stone' and 'They Call Me Muddy Waters', in which he sings "I'm the most bluest man in this whole Chicago town"... few would disagree. Any and every one of these recordings captures the very essence of 1950s Chicago Blues. In 1959 Muddy released Muddy Sings Big Bill, a tribute album to his former mentor who had died a year earlier. Muddy considered Big Bill to be "the Daddy of the Country Blues singers", so when he first moved to the city it must have been amazing for the younger man to find such a star taking an interest in him. It also shows the similarity in style between the two singers. On the album Muddy is accompanied by his band of the moment, James Cotton on harp, Pat Hare on guitar and the brilliant Otis Spann on piano they perform 'Just a Dream', a perfect testimony to both men, while Muddy makes the song his own, Big Bill comes shining through. 'I Feel So Good' from the album exemplifies Muddy's approach, brilliant interpretation and vocal delivery that is underpinned by tight ensemble playing. Otis Spann on piano, James Cotton's harmonica and Pat Hare's guitar are nothing but perfect. 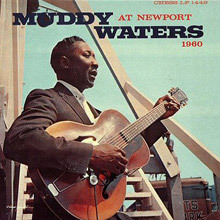 The following year at the Newport Festival Muddy performed the song, predominantly to a white audience, and it was captured for his album Muddy Waters at Newport; one of the great live albums and a favourite of many blues' fans. As the band powers through the song the crowd can be heard responding to their brilliance with spontaneous shouts. Not that this one song was any different from many that Muddy performed, he affected everything he did with style and class. "My mother had a stroke and I left Baton Rouge, Louisiana September 25th 1957 and I went to Chicago. I actually was looking for just a regular job to help my mum, but I ran into a bad situation. I couldn't get work, nobody would hire me. I played on the street first, one day this man grabbed me by the hand and walked me in this club. It was Otis playing, the guy told Otis to call me up and I played 'Things I Used to Do', and someone called Muddy on the phone. I was pretty hungry 'cos it was the third day without food. Muddy came in and just smacked me and said wait a minute, I heard about you, they done call me and got me out the bed. He said you hungry, I said you Muddy Waters, I'm not hungry, I'm full, I met you." Muddy like many of his contemporaries toured Britain in the 1960s as part of the American Folk Blues Festivals; his reception was better than when he had previously visited Britain at the invitation of Chris Barber in 1958, the jazz trombonist. Many people in the jazz fraternity, who were the keepers of the blues flame in 50s Britain decided it was a travesty for Muddy to play with amplification. Somehow these blues zealots decided that the only pure blues was acoustic thank goodness ideas changed. In May 1964 Otis Spann cut a single at Decca studios in London with producer Mike Vernon. On 'Pretty Girls Everywhere' and 'Stirs Me Up' Otis was accompanied by Muddy Waters on rhythm guitar and Eric Clapton on lead. Some years later Eric recalled "they were both very friendly, and they had beautiful shiny silk suits, with big trousers!" As the Blues languished somewhat in the late 60s, then so did Muddy's career. In the 1970s he toured constantly and by 1977 he had signed with CBS Records. Collaborating with Johnny Winter, Muddy's career took an upturn with the release of the album Hard Again in 1977, winning him a Grammy. A second album, I'm Ready, was followed by a tour of the U.S. including a performance at the White House for Pres­ident Jimmy Carter. Muddy worked live with Johnny Winter in the early 80s before succumbing to a heart attack in his sleep aged sixty-eight in 1983. Muddy's influence as well as the respect that he commanded among the Rock community was acknowledged when he was inducted into the Rock & Roll Hall of Fame in 1987. Muddy's "unplugged" album was cut in September of 1963 and still sounds fresh and vital today. It was Muddy simply returning to his original style on a plain acoustic guitar in a well-tuned room with Willie Dixon on string bass, Clifton James on drums, and Buddy Guy on second acoustic guitar. The nine tracks are divvied up between full rhythm section treatments with Buddy and Muddy as a duo and the final track, "Feel Like Going Home," which Waters approaches solo. What makes this version of the album a worthwhile buy is the inclusion of five bonus tracks from his next two sessions: An April 1964 session brings us Willie Dixon's "The Same Thing" and Muddy's "You Can't Lose What You Never Had," while the October 1964 session features J.T. Brown on sax and clarinet on "Short Dress Woman" and "My John the Conqueror Root," as well as "Put Me in Your Lay Away," another strong side. Folk Singer offers both sides of Muddy from the early '60s. This 1968 album was Chess Record's attempt to bring Muddy Waters to a wider, particularly, White audience. It was the era of the album becoming a thing of beauty in its own right and not just a collection of singles and individual tracks put together to form a long playing record. By way of a nod to the Rolling Stones who Muddy always acknowledged as helping his career he covers Let's Spend The Night Together; few would attempt such a move, perhaps only Muddy could pull it off. There's also a new take on some of Muddy's classics, I Just Want to Make Love To You and I'm Your Hoochie Coochie Man. It's not the first place you would go to explore Muddy's catalogue but it's well worth checking out to see how his style developed. At Newport 1960 is a live album by Muddy Waters performed at Newport Jazz Festival in Newport, Rhode Island with his backing band, consisting of Otis Spann (piano, vocals), Pat Hare (guitar), James Cotton (harmonica), Andrew Stevens (bass) and Francis Clay (drums), in July 3. Water's performances across Europe in the 50s and at Newport helped popularize blues to broader audience, especially to whites. The album is often said to be one of the first blues live albums. Muddy's historic 1941-1942 Library of Congress field recordings are all collected in one place, with the best fidelity that's been heard thus far. Waters performs solo pieces (you can hear his slide rattling against the fretboard in spots) and band pieces with the Son Sims Four, "Rosalie" being a virtual blueprint for his later Chicago style. Of particular note are the inclusion of several interview segments with Muddy from that embryonic period and a photo of Muddy playing on the porch of his cabin, dressed up and looking sharper than any Mississippi sharecropper on Stovall's plantation you could possibly imagine. This much more than just an important historical document; this is some really fine music imbued with a sense of place, time and loads of ambience. 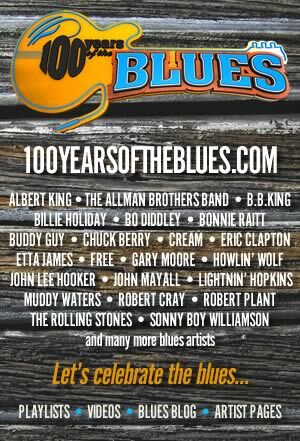 As part of the compilation series issued in conjunction with the major television series documentary The Blues, this is a collection of 16 of Waters' more notable performances. Though they span his entire career, actually all but three of them are taken from his prime years for Chess Records between the late '40s and mid-'60s. The two-disc The Anthology: 1947-1972 remains the best Waters best-of (and there have been a number of them) if you want to spend some more money, but this is pretty good if you can be satisfied with a single-disc collection. Many listeners would rate "I Can't Be Satisfied," "Rollin' & Tumblin'," "Rollin' Stone," "Long Distance Call," "(I'm Your) Hoochie Coochie Man," "I Just Want to Make Love to You," "Mannish Boy," "Trouble No More," "Got My Mojo Working," and "You Shook Me" (all of which are here) as not just indisputably among Muddy's best songs, but also as among the most essential electric blues done by anyone. That doesn't mean that there aren't great tracks that didn't make the cut ("Walkin' Thru the Park," "You Need Love," and "I'm Ready," for starters), but at least those are readily available elsewhere if you do decide you crave more than what's here. 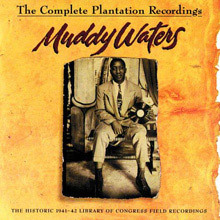 As Waters compilations go, this does have the mild advantage of taking in a few items before and after his Chess days, those being one of his acoustic early-'40s Library of Congress recordings ("Country Blues, Number One"), a 1946 track from his Columbia session ("Burying Ground Blues"), and a number from his Johnny Winter-produced 1976 Hard Again album ("The Blues Had a Baby and They Named It Rock &amp; Roll"). 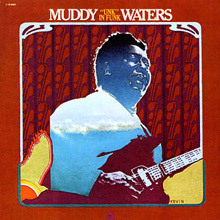 The nine sides on Unk in Funk (1974) are among the last newly recorded material that Muddy Waters (vocals/guitar) would issue during his nearly 30 year association with Chess Records. Backing up the Chicago blues icon is a band he'd carry with him for the remainder of his performing career, including Pinetop Perkins (piano), Luther "Guitar Junior" Johnson (guitar), Bob Margolin (guitar), Calvin "Fuzz" Jones (bass), and Willie "Big Eyes" Smith (drums). They run through a better than average selection of Waters' classics with newer compositions more or less tossed in, presumably to keep the track list fresh. 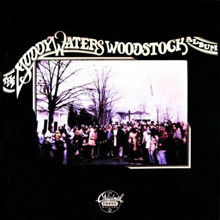 Of all the post-Fathers &amp; Sons attempts at updating Muddy's sound in collaboration with younger white musicians, this album worked best because they let Muddy be himself, producing music that compared favorably to his concerts of the period, which were wonderful. His final album for Chess (recorded at Levon Helm's Woodstock studio, not in Chicago), with Helm and fellow Band-member Garth Hudson teaming up with Muddy's touring band, it was a rocking (in the bluesy sense) soulful swansong to the label where he got his start. 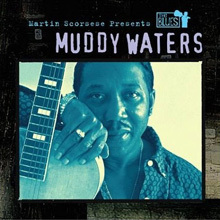 Muddy covers some songs he knew back when (including Louis Jordan's "Caldonia" and "Let The Good Times Roll"), plays some slide, and generally has a great time on this Grammy-winning album. This 51-track double-CD set captures Muddy at the peak of his game, dominating the Chicago blues scene (and, almost equally so, the national blues dialogue) and bursting with understated confidence and energy -- in his playing as well as his singing -- in the early years. The set takes listeners song by song across the mid-'50s, coinciding with the arrival of rock &amp; roll and the subtle changes the latter caused in even his music -- switching away from playing guitar and turning that responsibility over to younger musicians in the course of trying to compete in a world dominated by ever younger rock & rollers. The producers have done an impressive technical job, the sound on the individual songs being consistently clean and sharp, even if many of the early-'50s masters don't exactly lend themselves to high-resolution playback. They're also offering a large handful of alternate takes scattered throughout the two discs, illuminating Muddy and his band working through some of these pieces to get to the finished versions with which they were happy. The annotation by Mary Katherine Aldin paints a vivid picture of the participants (especially Willie Dixon) and the backgrounds to the individual sessions and songs -- her notes are appended by a very handsome color and black-and-white photo array and a full sessionography. One factor that may cause potential buyers to hesitate on this set is the cost -- as a Hip-O Select release it lists for $50, and that is steep; on the other hand, the listening will keep any serious blues fan busy for quite a while. And given the fact that Muddy Waters only recorded singles in those days -- he didn't do an actual album session until the Big Bill Broonzy tribute LP at the end of the decade -- a set like this is the logical way to absorb his work from this phase of his career. All 12 songs that comprise the budget-priced The Best of Muddy Waters are aboard, with eight more essential goodies from his first period of creativity, including great early ones like "Rollin' and Tumblin'," "Train Fare Blues," and "I Feel Like Going Home." It also includes Rollin Stone' that was on the original Best of Muddy Waters. This was the album from which Brian Jones suggested to Mick and Keith in the spring of 1962 that they call their new band by that name. On a few of their early gigs they even kept the apostrophe at the end of Rollin' before adopting the now familiar Rolling Stones. It's impossible for any of these brief collections to be definitive, but they're nevertheless solid samplers that don't feature a bad song in the bunch. 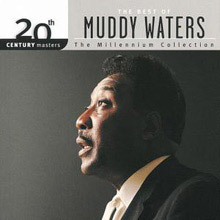 For example, take Muddy Waters' 20th Century volume -- it's an irresistible 12-song summary of his Chess recordings. There may be several noteworthy songs missing, but many of his best-known songs for the label are here, including "I Just Want to Make Love to You," "Long Distance Call," "I'm Your Hoochie Coochie Man," "Honey Bee," "I'm Ready," "Trouble No More," "Mannish Boy," "Rock Me," "Forty Days and Forty Nights," and "Got My Mojo Working." Serious fans will want something more extensive, but this is an excellent introduction for neophytes and a great sampler for casual fans, considering its length and price.